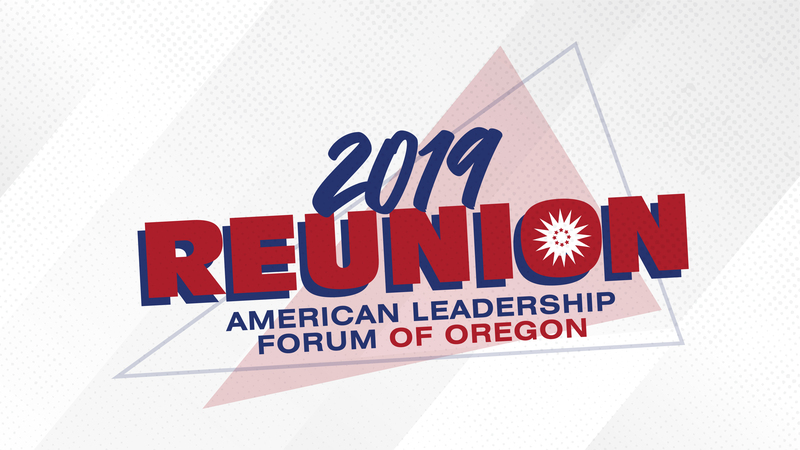 The American Leadership Forum (ALF) of Oregon is a non-profit, non-partisan organization that brings a diverse range of corporate, public and non-profit leaders together to build effective networks of collaboration, service and community throughout the state. By creating a network of leaders with established bonds of trust and mutual support, ALF strengthens the commitment of leaders to utilize collaborative approaches to dealing with often complex community and statewide issues. Joining and strengthening diverse leaders to serve the common good. ALF enhances leadership by building on the strengths of diversity and by promoting collaborative problem solving within and among communities. As our country continues to witness the escalation of blame-fueled rhetoric, anger-and-hate-driven violence and amplified acts of unprecedented divisiveness, we as Senior Fellows of the American Leadership Forum feel compelled to step up and speak out. Use your network to bring diverse thinkers together. Practice the art of transformative dialogue. Prioritize acts of intentional kindness and education over isolation. Seek out rational commentary on opposing views, then seek to understand. Speak out against hateful speech and behavior targeted against any group. Live the ideals of ALF and encourage others to join you on that preferred path. It is time to model the principles of our mission, established nearly 40 years ago, that encourage us all to be leaders in bringing people from all corners of our diverse communities together. Charles Moose Class VIII No information available. Amanda Nelson Class XVIII No Information on file. Jack Robertson Class III No information available. Bill Segura Class III No information available.